My name is Cheryl and i am a fully qualified childminder registered with Ofsted and fully insured with Pacey. I live with my 2 children Evan 12 and Scarlett 8. I live in the south Fens area of Hartlepool with easy access to Greatham the A689 and the A19. I hold a clean driving licence and my own car. 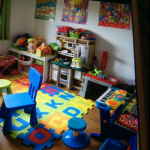 I have a fully equipped playroom and garden with resources for all ages of children. I do school drop off and collections for Fens nursery and primary school. I am passionate about providing the best quality care for children, and providing a loving, stimulating environment in which children will develop and flourish. I am naturally fun, loving, caring and creative. We enjoy the outdoors, lots of fresh air,farms,parks and picnics,outings to local soft play,play groups and libraries. We also enjoy baking, painting, messy play and art activities. I have bags of energy and empathy, I’m professional and friendly. I am a good cook - I believe in freshly prepared food and providing a healthy, nutritious diet the little ones. I provide each child with a daily diary that includes all the information of what the child has done whilst in my care on a daily basis. Along with a learning journey of their time with me,this includes art work and photos of their achievements. I am flexible, so please do get in touch to discuss your needs. I can provide a safe, secure and loving environment for your child. My greatest experience is having my own two children but i have also volunteered in parent and toddler playgroups (PATCH) which included providing play and craft activities for young children aswel as a healthy snack. Below are the latest reviews for cherylsc. Please note that reviews represent the subjective opinions of other Childcare.co.uk users and not of Childcare.co.uk. Parents must carry out their own checks and references on childcare providers to ensure that they are completely happy before enaging in the use of their services. My daughter has been going to Cheryl since she was 6 months old. Cheryl is the most loving, kind and amazing person that I have met. My daughter has learnt so much when being with her. Cheryl is like part of the family and I would recommend her to anyone. My daughter only goes in the holidays now as she is at full time school and she looks forward to seeing her when she knows she is going, her excitement is due to the fun and the great times she has when with Cheryl. Would recommend Cheryl to anyone seeking reliable, professional childcare. Our little boy now two and a half has been with Cheryl since five months old, he has a fantastic time there and a great relationship with Cheryl and all of the children. As a new mum I was very apprehensive leaving my baby and returning to work, but with Cheryl there was no need to worry our little man settled straight away and has been happy there ever since. Cheryl provides lots of stimulation and learning mixed with all of the fun and adventure children need. We are so happy with this child care we are seeking a place for our little boy outside of our own school catchment area so that he can remain with Cheryl before and after school. Excellent childminder. My two loved there time with Cheryl. Brilliant with the kids, shes full of fun. Excellent facilities. Definitely recommend Cheryl to anyone looking for childcare in Hartlepool. Flexible hours to suit which wee perfect for me.